Poor nutritional status is often present among older adults who experience a fall. However, dietary intake and weight loss are often overlooked as potential factors. 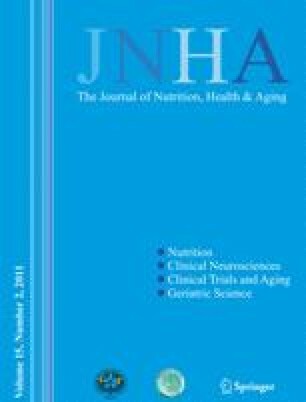 The objective of this study was to test the association between dietary protein intake and risk of subsequent falls in a population-based cohort of elderly men and women. Dietary intake and clinic data from 807 men and women (ages 67–93 years) from the Framingham Original Cohort Study were analyzed. Protein intake (total, animal and plant) was assessed as a continuous variable and by tertile of intake. Falls were reported by participants using a validated questionnaire at two time points. Weight was ascertained at each examination to examine the effect of weight loss over follow-up. Higher dietary protein intakes were associated with a reduced odds of falling, although of borderline statistical significance (OR=0.80, 95% CI: 0.60–1.07) and were not associated with the rate of falls over follow-up (RR=0.93, 95%CI: 0.73–1.19). Tertile analyses tended towards a protective association, but most did not achieve statistical significance; there was no dose-response. For those who lost ≥ 5% of their baseline weight, higher intakes of total, animal and plant protein showed a significantly lower rate of subsequent falls. This work highlights the importance of adequate protein intake as a potentially modifiable risk factor for fall prevention in older adults. Further exploration of the interaction of protein intake and weight loss as related to falls is needed.